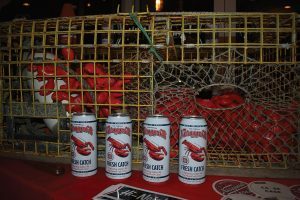 Narragansett Brewing Company celebrated the Connecticut debut of its latest ale, Fresh Catch, during an industry party at Shell & Bones in New Haven on October 15. 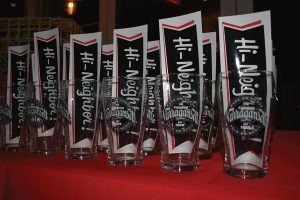 Presented by Narragansett Brewing Company, the event spotlighted Fresh Catch, the Rhode Island brewer’s new year-round addition to its beer lineup. 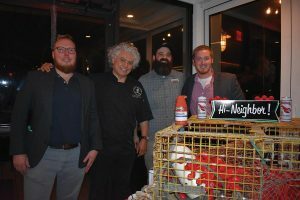 Guests enjoyed beers from the Narragansett Beer lineup, a raw bar and lite fare while watching oyster-shucking lessons given by Matt Williams of Shell & Bones and chatting with members of the Narragansett Beer team. Narragansett Beer is available in Connecticut through Northeast Beverage. 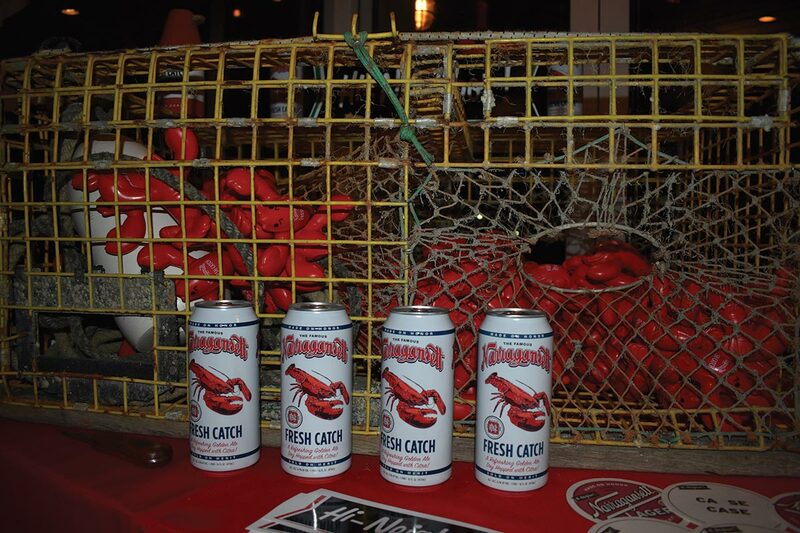 Narragansett Fresh Catch is a blonde ale dry hopped with citra, resulting in a crisp, grapefruit finish. Steve Bayusik, General Manager, Shell & Bones; Franco Arturo-Camacho, Executive Chef, Shell & Bones and Geronimo Tequila Bar & Southwest Grill; B.J. Mansuetti, Brand and Marketing Manager, Narragansett Brewing Company; and Austin Reyer, CT Sales Manager, Narragansett Beer. 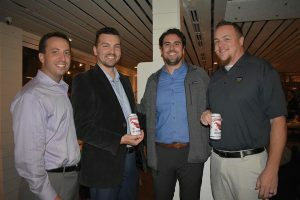 All of Northeast Beverage: Greg Zannella, General Sales Manager; Tom Korniluk, New Belgium Brand Manager; Kenneth Mancini, Territory Sales Representative; and Kevin Gallagher, Sales Representative. B.J. 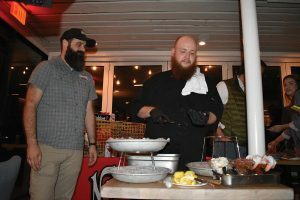 Mansuetti, Brand and Marketing Manager, Narragansett Brewing Company looks on as Matt Williams of Shell & Bones gives an oyster-shucking presentation for guests. Guests enjoyed Narragansett brews throughout the evening paired with seafood dishes prepared by Shell & Bones Executive Chef Franco Arturo-Camacho.